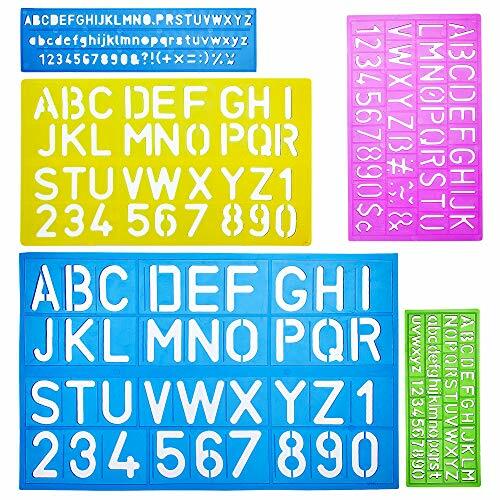 Darice plastic alphabet stencil is a great tool for painting beautiful letters on many surfaces. 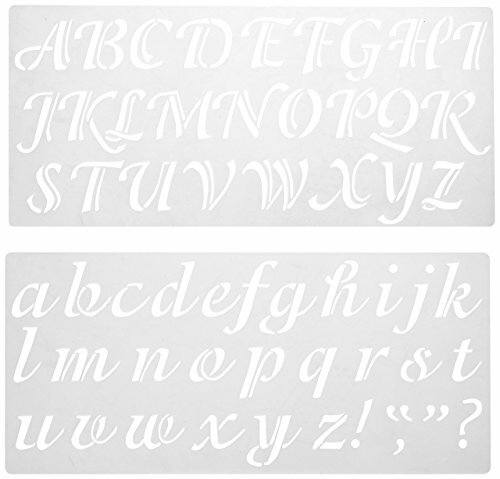 This stencil contains upper and lower case calligraphy style letters. 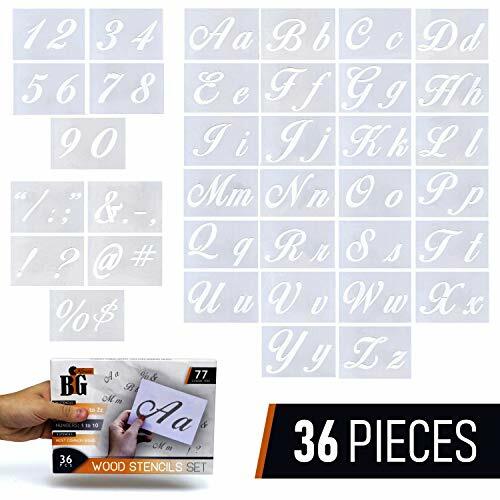 These plastic die-cut letters and numbers are the perfect answer to great lettering. 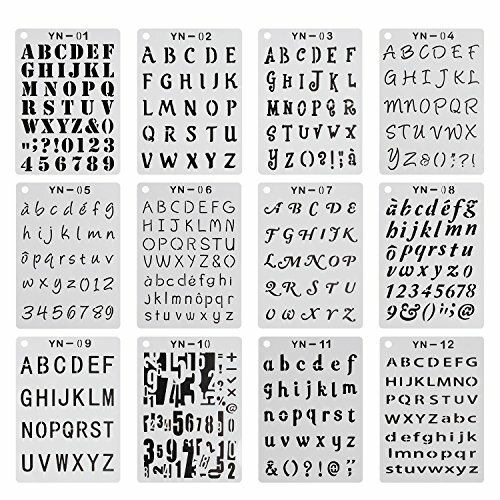 Perfect for home, school, or office, they are easy to use for posters, signs, reports, or anywhere stylish lettering is needed. 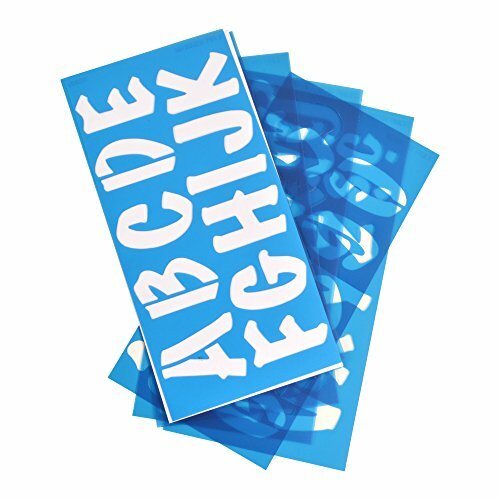 Their smooth die-cut edges provide a sharp outline for tracing, and their non-glare blue plastic stencil guides make letter alignment a snap. Sheets are 9 in. x 12 in. and 10 mm. thick. Westcott Drafting & Drawing Tools are some of the finest products of their kind for students and professionals. Our commitment to meticulous quality and cutting edge innovation in measurement and art materials has earned an unparalleled reputation. 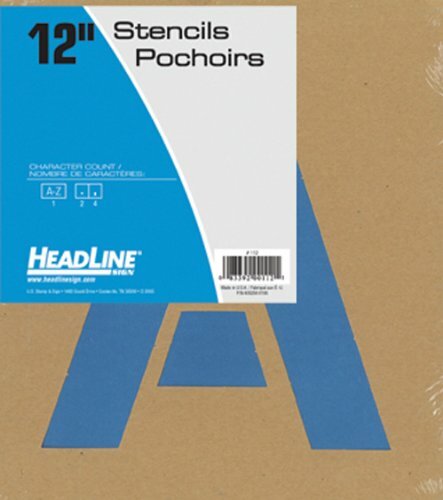 These reusable stencils from Headline Sign are great for use on projects, presentations, signs, windows, or vehicles. 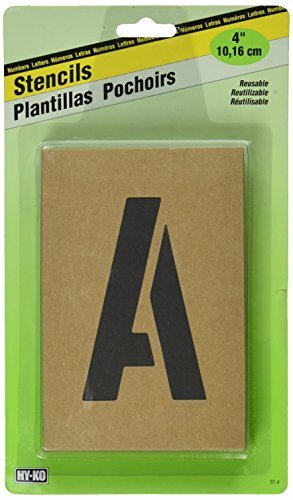 This item includes capital letters A to Z, plus period and comma symbols. Letters can be stenciled using pencils, marking pens, tempera, poster paint, or spray paint. Each letter is on a separate card, making it easy to create your own custom combinations. 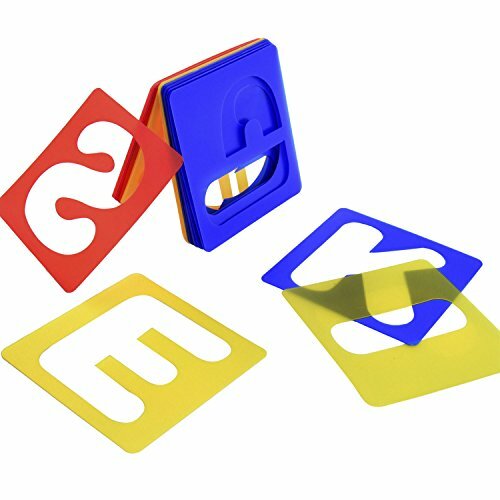 Make a great first impression with stencils from Headline Sign! Specifications: Color: Transparent. Material: Propene Polymer.Non-toxic & Odorless Size: 10.3"× 6.9" (26 × 17.5 cm) Applications: Can be used for scrapbooking, gift card, diary graffiti, craft, bookmark, school project and any other project. NO SHARP EDGE, NON-TOXIC & SAFE FOR CHILDREN: Durable and lightweight thanks to made of eco-friendly PET plastic material, neither too hard nor too soft. No sharp edge, safe to children. Early education tool, cultivate thinking of art since the childhood. 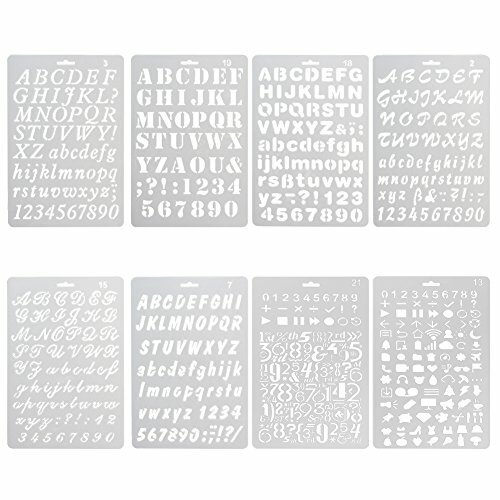 Package Included: 8 Different Style Stencils.